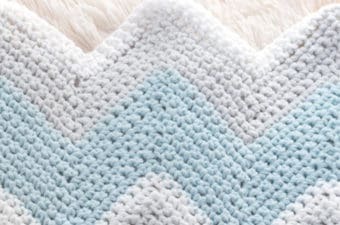 This easy crochet square is a free pattern that will be perfect for your next blanket! 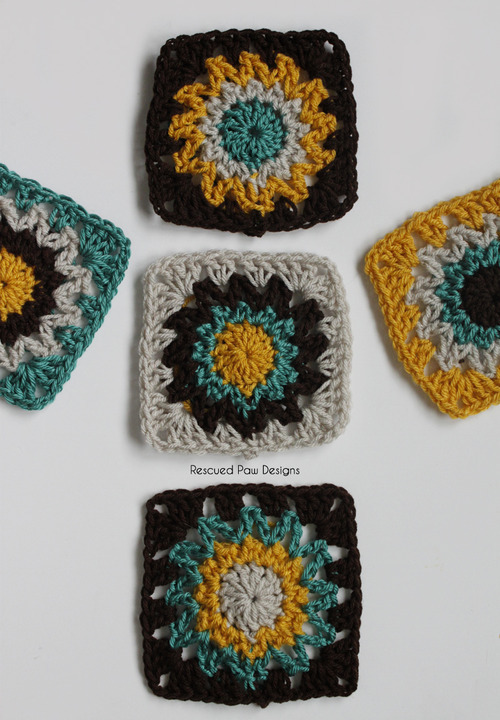 Great pattern to use up extra yarn! 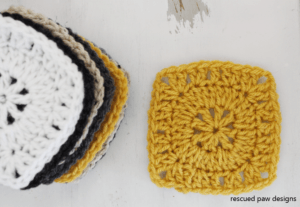 To make these crochet squares I used Lion Brand Vanna’s Choice since it’s my favorite go to acrylic yarn in Espresso, Linen and Mustard! The Aqua color (Deep Sea) is from Red Heart Yarns and is part of the Soft line. 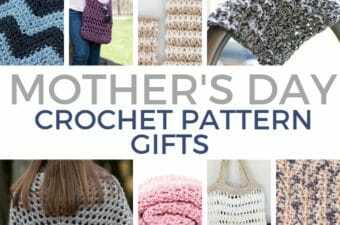 If you do not have these yarns don’t worry any type of worsted weight yarn will work! 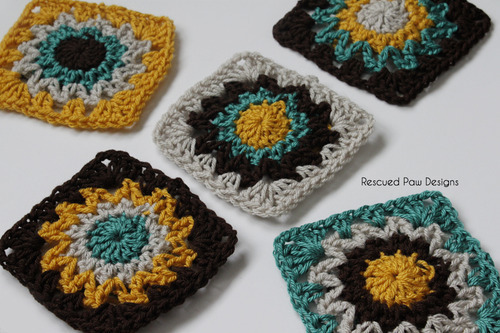 Super Easy to make squares! 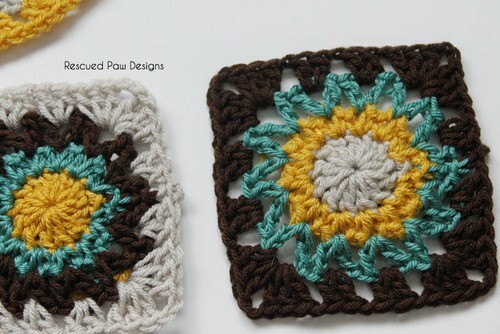 But, I am so happy that this little crochet square turned out to be the perfect way to use up all my extra yarn! I can’t wait for your to try them! 4 different colors of worsted weight (4) yarn. 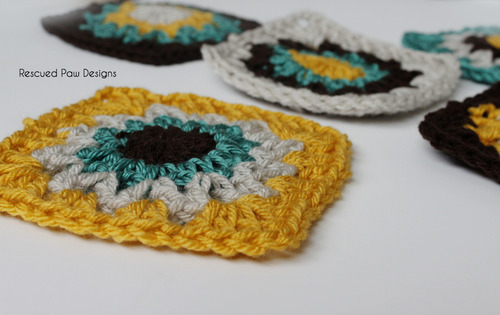 I used Lion Brand’s Vanna’s Choice in Mustard, Linen and Espresso. The aqua color is Red Heart Soft in Deep Sea. 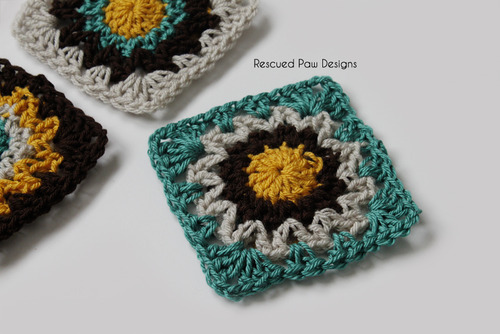 The finished square size is approx. 5.5″ X 5.5″. ch 3, dc 12 times into 3rd chain from hook. sl st to top of first dc. Join in a new color. chain 1, sc in next st, ch 2, sc again in same stitch. *sc in next stitch, ch 2, sc again in same stitch. Repeat from * around for a total of 12 clusters. sl st to top of first sc. Join in new colors. ch 2, *dc in next ch 2 space, ch 2, dc in same ch 2 space again. Repeat from * around for a total of 12 clusters. Sl st to top of first dc. Join in a new color. ch 2. dc two times in next ch 2 space, dc 3 times in next chain 2 space, ch 2, then dc again 3 times in same chain 2 space. (corner), dc 2 times in next ch 2 space. dc 2 times in next ch 2 space. dc 3 times in next chain 2 space, ch 2, then dc again 3 times in same chain 2 space. (corner) dc 2 times in next ch 2 space. dc 2 times in next ch 2 space. dc 3 times in next chain 2 space, ch 2, then dc again 3 times in same chain 2 space. (corner) dc 2 times in next ch 2 space. dc 2 times in next ch 2 space. dc 3 times in next chain 2 space, ch 2, then dc again 3 times in same chain 2 space. (corner) dc 2 times in next ch 2 space. join with a sl st to top of first dc. 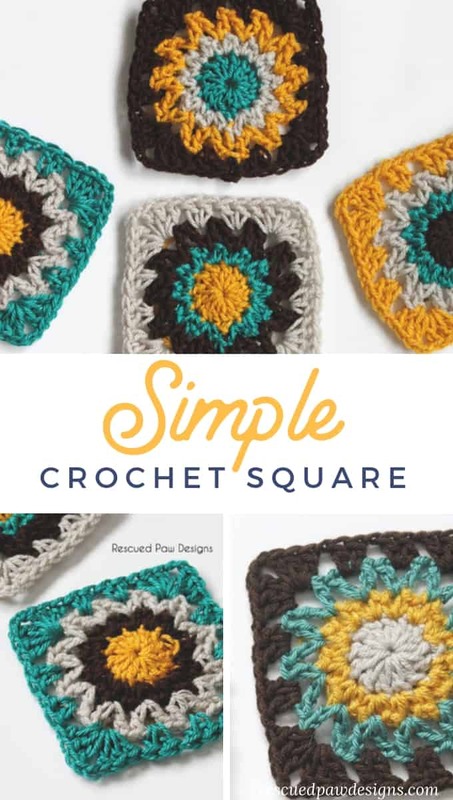 I hope you enjoy making this crochet square motif pattern and If you have any questions, please feel free to contact me on my Facebook page! 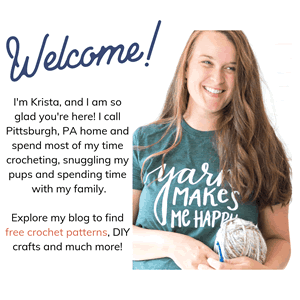 If you love free patterns then follow along with me on Pinterest or on YouTube where I post tutorials weekly! Love the pattern. 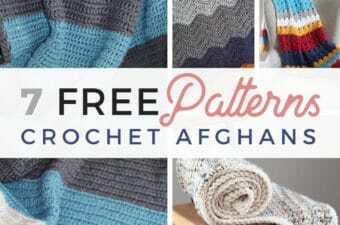 I have got to try this pattern.